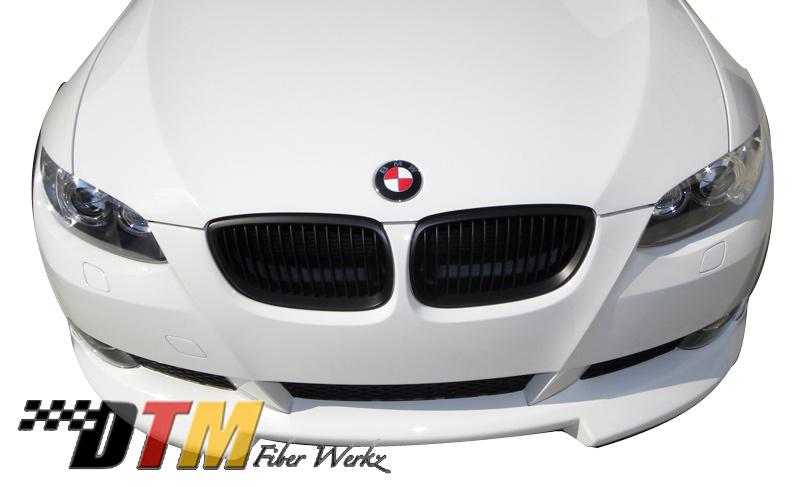 Add a splash of European tuner inspired styling to your BMW E92 3-Series 2-Door with this RG Style front lip from DTM Fiber Werkz. 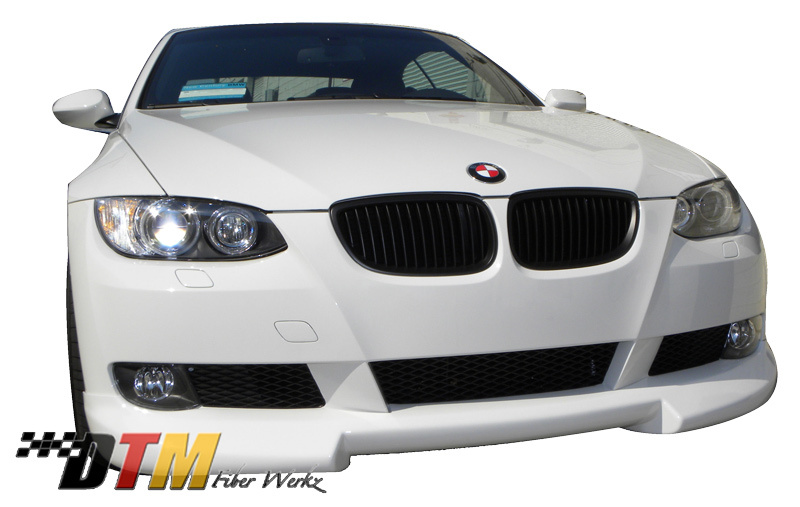 This front lip adds a hint of European tuner flair to your 3-Series' front end. Produced in Fiberglass Reinforced Plastic for superior durability and flexibility compared to traditional fiberglass. FRP Parts come unpainted and finished in a gelcoat, ready to prep, prime and paint to match your vehicle. See FRP disclosure for more information. 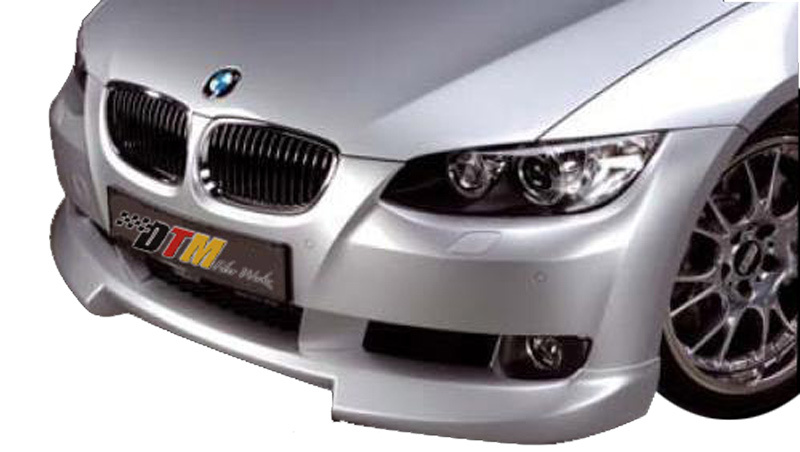 Find BMW E92 front lips at ModBargains. Modification Experts ready to assist. 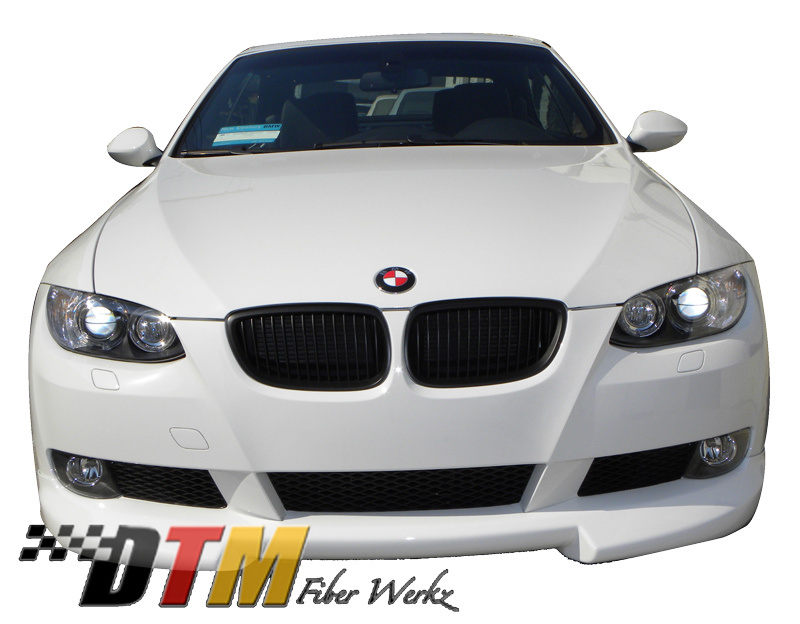 Add a splash of European tuner inspired styling to your BMW E92 3-Series 2-Door with this RG Style front lip from DTM Fiber Werkz. 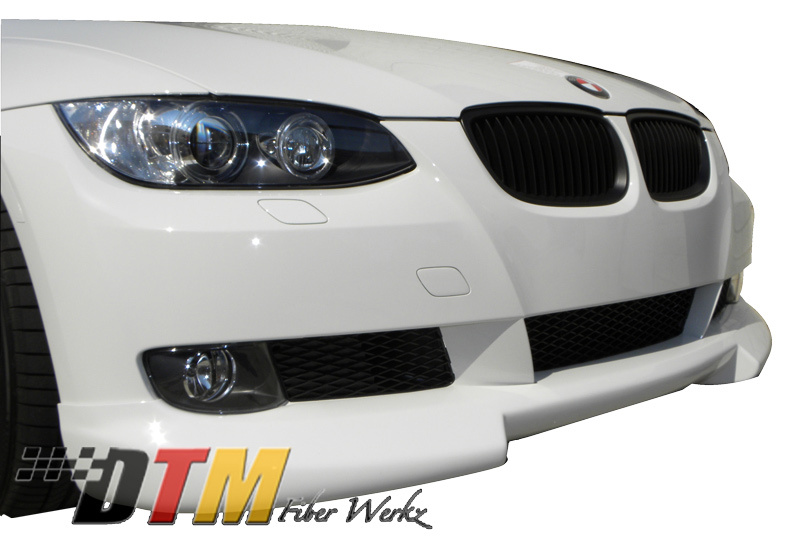 This front lip adds a hint of European tuner flair to your 3-Series' front end. Produced in Fiberglass Reinforced Plastic for superior durability and flexibility compared to traditional fiberglass. FRP Parts come unpainted and finished in a gelcoat, ready to prep, prime and paint to match your vehicle.Vehicles shown may include moldings, grilles or an addition to the DTM Autowerkz piece. Parts such as lights, splitters, canards, paint, grilles and other accessories are not included unless specified. Questions about this E92 3-Series RG Style Front Lip? Our Modification Experts are standing by and available to help you, online or by calling 714-582-3330. ModBargains also offers expert installation and can install this upgrade for you. Call today!